The WRC hoped the new, redesigned cars would make the championship more exciting, and while one can argue about whether it’s the cars or the loss of VW in the series that did it, there’s no denying it’s been exciting. And that excitement could go down to the final stage of the final round. 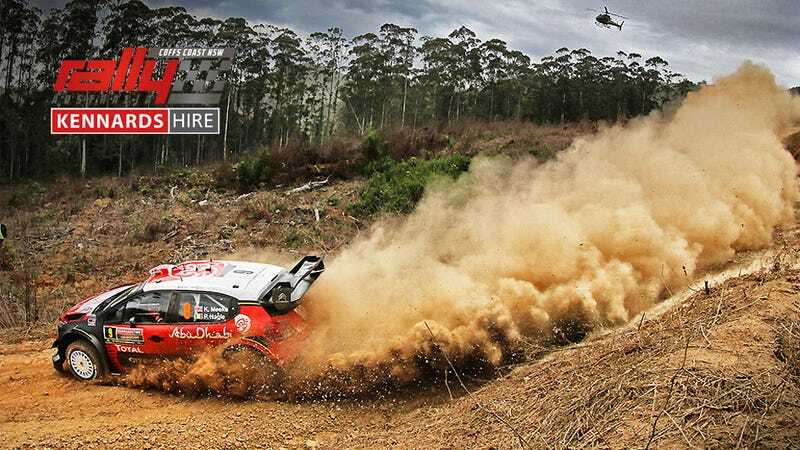 Ogier goes into Australia with just three points over rival Neuville. If either one of them wins the rally, they’ll win the title (unless, in the most unlikely of scenarios, Neuville wins the rally but doesn’t score any points on the power stage and Ogier wins the power stage). Tanak, 23 points out of the lead, isn’t entirely out of it either. If the other two hit trouble and he wins the rally he could win the title as well. An unlikely situation, but let’s not forget how he got himself back into the championship fight in the first place. As we enter this final round one has to look back on the little moments throughout the season that swung things just a few points one way or another. Ogier’s road order tactics in Sweden and the power stage points he earned from them. Ogier’s power stage penalty in Mexico. Loeb acting as a spoiler by taking the win in Spain. Any and all of these could prove to be championship-deciding moments. Things are similarly interesting in Fantasy WRC. Going into Spain James Beckett and Shane Hutton were tied for the lead. They went on to tie in Spain as well. However, the drop score gods giveth and the drop score gods taketh away. James’s drop score was lower than Shane’s, giving James a 14 point lead going into the finale, literally the largest lead we’ve seen all season, and only the second time it’s been in double digits. But a retiring pick in OZ could easily swing this the other way. And now to Australia and this one’s looking tasty. As previously mentioned, if either Ogier or Neuville wins the rally they’ll win the championship. Both drivers have won here before, Ogier taking it in 2013-2015 and Neuville winning it last year (from second on the road, where he’ll be starting this year). Tanak, meanwhile, will have the best road position of the three, a big deal as road sweeping on day 1 in Australia is a major factor. Other drivers to keep an eye on? Mikkelsen, Latvala, and Paddon have all found the podium here, with Mikkelsen even scoring a win in 2016, but this year has been such a crap shoot who knows who will be strong here.